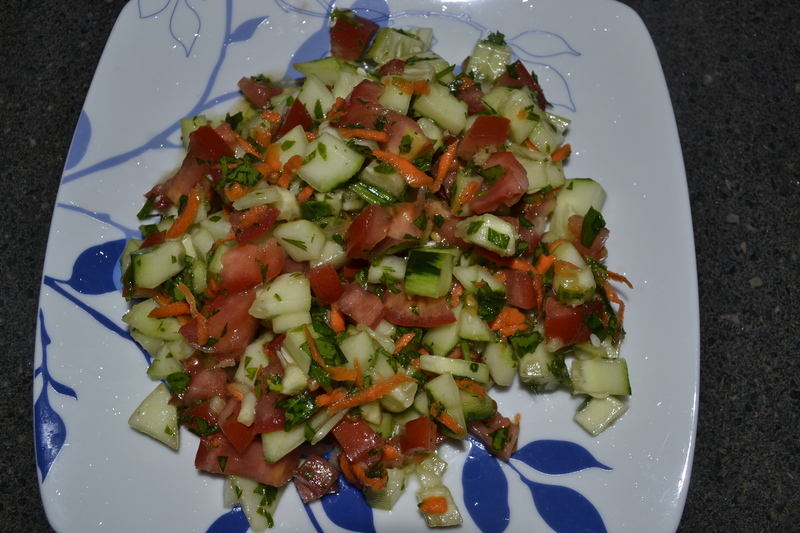 This is a delicious salad that goes with many rice dishes in Arab countries. It is so good and so easy. 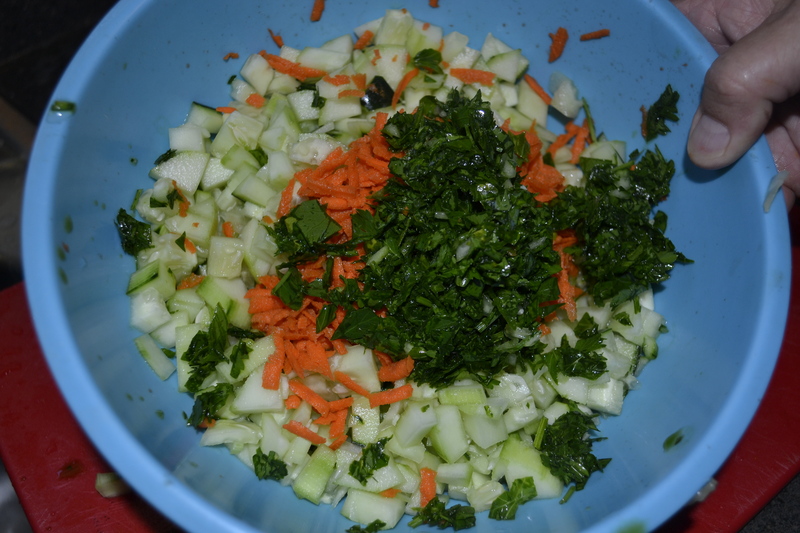 2 cucumbers, peeled, cut lengthwise and into thin strips, then cut into little pieces. Yum! One of my hobbies is cooking and baking. I keep categorized folders for recipes I want to try. This one is perfect for using my garden veggies. a garden, wonderful! I have started looking through and writing recipes down and it’s wonderful! Is a there a button for a printer friendly copy of your recipes? I harvested my tomatoes and cucumbers today and made this salad. Delicious, easy and a keeper. I didn’t have carrots or the parsley, but I did have cilantro so I used that, also I had a truffle infused olive oil on hand and used that. Soooo good! Made this too last night. And I was like “OMG!! This is soo good!” Couldn’t chill it, ate half the bowl before supper was ready! So simple and so good!! I was amazed! !